Where the wild waters of the high mountains meet ancient rocks, is a place where you have to stand your ground. 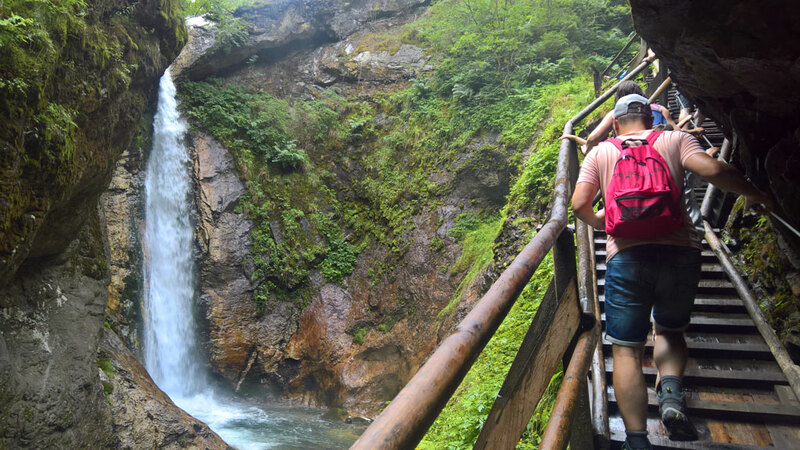 Beating a path through rock, through narrow fissures and over breath-taking waterfalls into the valley, creating THE highlight of the town of Flattach – the Raggaschlucht. Enter, but don’t forget to close your mouth again. 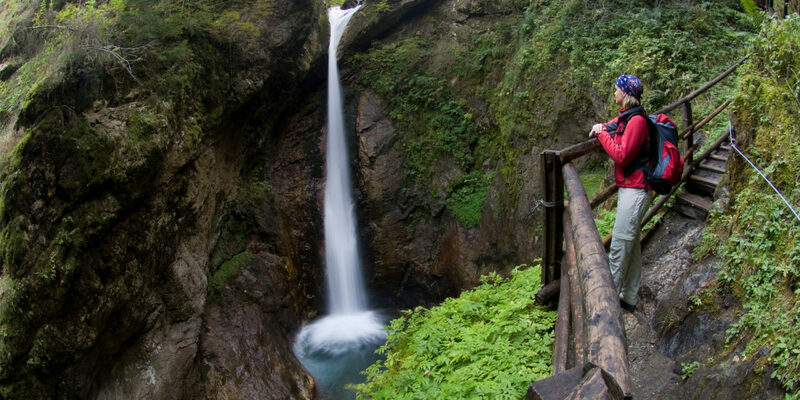 Anyone who has ever visited the Raggaschlucht and observed the water making its way into the valley, will enjoy no end of amazement AND will want to come back again. At times tranquil, at others seething; at times glistening and at others crystal clear – there is no question that water is the crucial element in Raggaschlucht. Over millions of years the wild waters have shaped, smoothed and sculpted the rocks in the mountains, and today we can experience this natural spectacle up close. Cross the man-made walkway to get to the loveliest sections of the gorge. 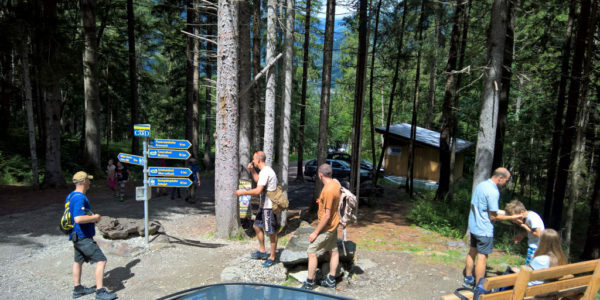 A safe and remarkable experience for all the family and entry is free with the Kärnten Card. 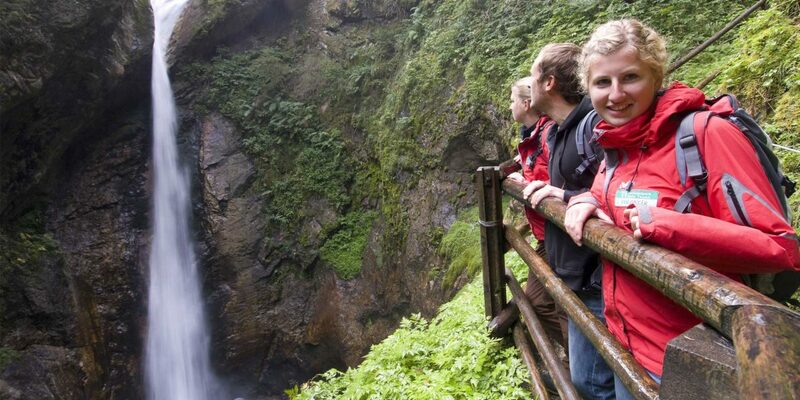 Of course you can ‘only’ walk through Raggaschlucht, take photos and enjoy the breath-taking natural surroundings, but you can also take some knowledge and expertise home with you about how it came about. The Geological Educational Path in the Raggaschlucht is a themed trail which provides information and a background as to how this natural spectacle came about, served to you on a silver platter. How did it start to develop millions ago and how has the gorge been turned into an experience that you can encounter today? … it all starts at the big “Raggaschlucht” parking area. Park the car in the town of Schmelzhütten. The town of Flattach is located directly opposite. 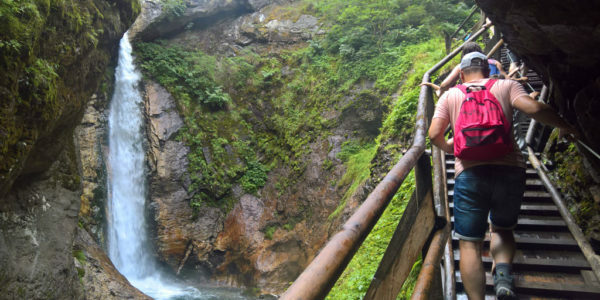 Wearing sturdy footwear and all-weather clothing – since the water bubbles up and splashes in the gorge making the walkways wet. It is just so impressive; our route takes us across footways and bridges right to the loveliest sections of the gorge. 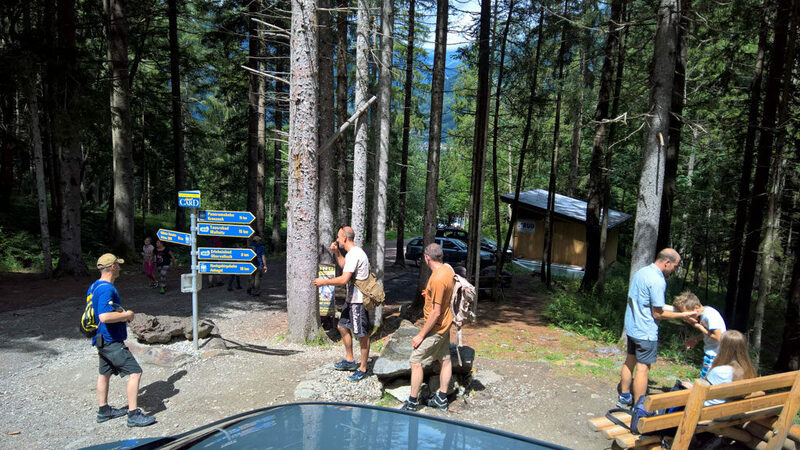 After some 200m altitude and 1 ½ hours of walking we will have walked through the gorge and deserve some refreshments. So, have we convinced you? Are you now thinking that a trip to Raggaschlucht near Flattach in Mölltal should very much be a feature on your holiday to-do list? Then make your way to Flattach as soon as possible. Get in touch for more information about your stay. Send us a no-obligation enquiry or call us on: +43 4785 615. We look forward to welcoming you!